Bad guys, beware … 51 teams of elite police dogs have been deployed to Houston from PDs all over the country to help their human counterparts keep fans safe, officials say. In fact, the L.A. Sheriff’s Dept. 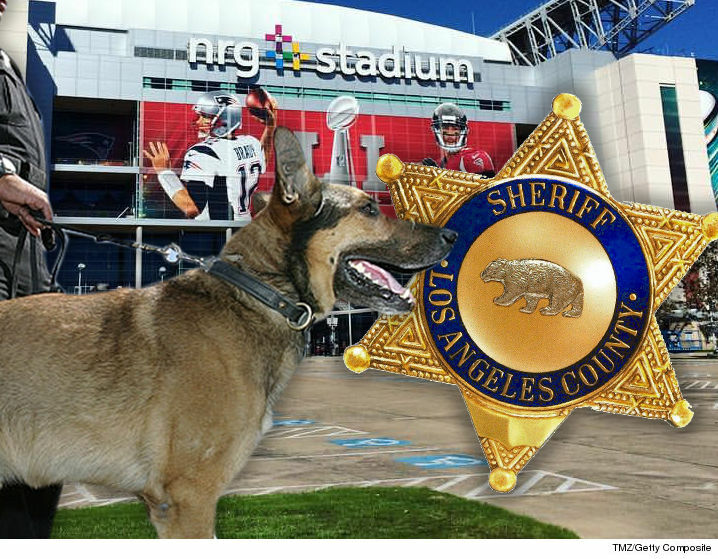 just announced it sent 8 trained K9 teams over to the Super Bowl to assist in explosive detection with the TSA and the U.S. Marshals Service. The LASD officer dogs were even sworn in as Deputy U.S. Marshals so they could work with the Marshal teams.